Weyes Blood plays Everybody Hits on Wednesday. Every Monday, noted song expert K. Ross Hoffman digs up five fresh specimens for your consideration. One of Nashville’s sharpest working writers, Brandy Clark’s had her songs recorded by folks like Miranda Lambert, Kacey Musgraves and Reba McEntire. The native of Morton, Washington, (pop. ~1000) populated her excellent 2016 album “Big Day in a Small Town” with a bevy of deft character sketches — poignant, comic, frequently both at once — breathing fresh life into a panoply of familiar middle-American archetypes. “Broke,” a jaunty, banjo-toting “regular folks” anthem, keeps with that spirit but functions a little differently, inhabiting a sort of non-specific (and therefore broadly inclusive) third-person plural which helps underscore that as playfully witty as it is (rhyming the title with “generic Coke” is a priceless touch), as aw-shucks cutesy as its down-on-the-farm references get, as sprightly and light-hearted as its hybrid country-pop-rock’n’roll funk might be, this is also a blunt (and slyly blunted) commentary on the extremity and prevalence of rural poverty. “We might be laughing but it ain’t no joke,” indeed. Hiss Golden Messenger plays Union Transfer this Sunday, Nov. 13. This highlight of the Chilean-American producer’s fascinating second full-length contains easily his most overt allusions, musical and lyrical, to his family’s homeland (and, via a home-recorded snippet of his delightfully squeaky two-year-old voice, his own personal history). The title and bleakly fatalistic Spanish lyric refer to Chile’s 1988 national plebiscite — the referendum which led to the end of Pinochet’s dictatorial rule, shortly after Jaar’s birth in exile — but rather than present it as a moment of triumph, he broods on the seeming futility of effecting meaningful change: “We said no, but the yes is in everything.” The track’s spectral, sputtering cumbia rhythms — giving way to a desolate, burbling noise-scape punctuated by woozy snatches of Paraguayan harpist Sergio Cuevas — are at once haunting and entrancing, graceful and somber. Even at his most political, Jaar remains as a subtle, idiosyncratic impressionist. Nicolas Jaar plays the TLA this Sunday, Nov. 13. A thrilling, vital corrective to the knee-jerk association of “French electronica” with the high-gloss fantasy and perennial disco fixation of Daft Punk et. al., this Parisian DJ duo’s pointedly-titled “Musique de France” is a fiercely populist fusion of rugged, no-nonsense techno with sounds and rhythms that may stem from across the Arabic world — from the Maghreb to the Levant and beyond — but are very much at home in Guido Minisky and Hervé Carvalho’s 21st-century Paris and, specifically, the 10e arrondissement melting-pot they call home. This riotous collaboration with the Algerian Rai vocalist Sofiane Saidi — the title is Arabic for “party” or “get-together” — is representative: a buzzing, propulsive East-West groove foregrounding Saidi’s forceful vocals (alternately rapped and sung) and piled high with dizzyingly ornamented Middle Eastern synth melodies. Even as a fellow millennial, it’s tough to parse the layers of ironic haze enshrouding this would-be generational anthem from psych-folk auteur (and Bucks County native) Natalie Mering. She lingers tenderly on the individual letters of Drake’s designated youth mantra (“Y-O-L-O”); she invokes her cell-phone addiction atop dappled folk arpeggios disrupted by ringtones; she professes a glib, glassy-eyed rosy outlook: “what a great future this is gonna be.” All of it intoned with the austere, earnest purity of a latter-day Judy Collins. Does she mean any of it? Do any of us? There are no real answers here, which is perhaps the point — only a placid, intoxicating beauty, equal parts hymnic reverie and drugged-out daze, that manages to be comforting and eerie all at once. 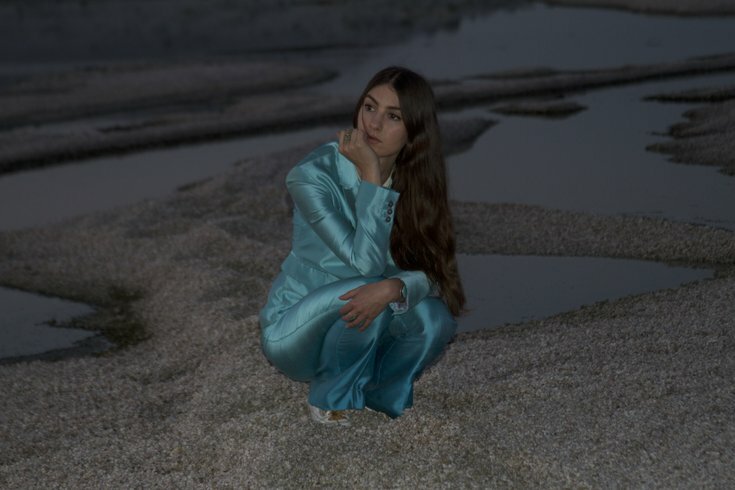 Weyes Blood plays Everybody Hits this Wednesday, Nov. 9 with Philly’s own Shadow Band — who just became her Mexican Summer labelmates — and Laser Background.